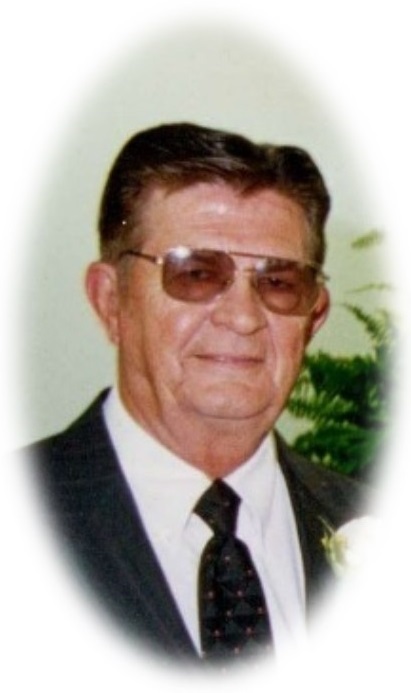 Robert Wicker "Dub" Winkle, Sr.
Mr. Robert Wicker Winkle, Sr. “Dub” age 87, of Rome, GA, passed away on Thursday, September 6, 2018. Mr. Winkle was born in Rome, GA, on March 23, 1931, the son of the late Lunie Mae Burnett Winkle and Bernice Jefferson “BJ” Winkle. He served in the United States Marines Corp and retired from Galey & Lord after forty plus years of service. Mr. Winkle was a member of Northwood Missionary Baptist Church and recently attended Shannon Church of God. Dub never met a stranger and had a contagious smile. He enjoyed playing pool with his sons and grandchildren, reading, cowboy movies, watching the birds, going fishing, and gardening. In addition to his parents, Mr. Winkle was preceded in death by his son, Jeffery Winkle; four brothers, Vernon Winkle, Fahy Winkle, Virgil Winkle, and Guy Thomas Winkle; and two sisters, Violet Pitts and Elsie Ruth York. Survivor include his wife of sixty-four years, Annie Dale Ray Winkle, to whom he was married on February 23, 1954; four sons, Robert Wicker Winkle, Jr. (Sandy), John Winkle (Kathy), James Winkle, and Jerome Winkle, Sr. (Mary Lou); ten grandchildren, Angel Yarbrough (Jonathan), Jerome Winkle, II (Erin), Crystal Hines (Paul), Amy Winkle, Melissa Crowe (Dale), Stephanie Miller (Barry), Becky Ramey (Erik), Robert Wicker “Bert” Winkle, III (Yun Lee Lewis), Amos Winkle, and Alicia Winkle; seventeen great-grandchildren, Adriana Smith (Jacob), Ali Miller, Eli Hines, Valerie Crowe, Chloe Crowe, Noah Hines, Leah Yarbrough, Echo Yarbrough, Liam Ely, Quinn Ely, Emma Ramey, Triston Ramey, Madison Ramey, Kendall Ramey, Benjamin Winkle, Jack Winkle, and Luke Winkle; and three sisters, Betty Sue Williams, Johnnie Bailey, and Janie Vance. A Celebration of Life will be held Sunday, September 9, 2018, at 3:00 P.M., Salmon Funeral Home with Cary Hall, William Ford, and Derek Hall officiating. Interment will follow at New Hope Baptist Church Cemetery (280 Carpenter Rd NE, Calhoun, GA) with military honors. Gathering of Family & Friends will be held Saturday from 6:00 P.M. until 8:00 P.M. at Salmon Funeral Home. The following gentlemen have been requested to serve as active pallbearers: Jerome Winkle, II, Robert W. “Bert” Winkle, III, Amos Winkle, Jonathan Yarbrough, Erik Ramey, and Barry Miller. The Honorary Pallbearers will be the deacons of Northwood Missionary Baptist Church. Visit the online obituary: www.salmonfuneralhome.com to post tributes and share memories.